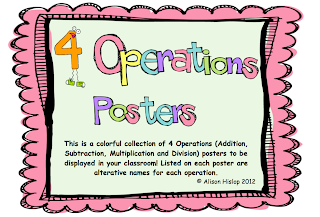 The children in my class were having trouble remembering the "proper" names for the four operations and the names they had used in younger year levels. "....oh you mean sharing!". So I created these fabulous bright and colorful posters! They all love them - simply purchase for only $2.00 from my teacherpayteacher website, print and laminate and you can enjoy them too! These posters look great! Sorry it took me a while to get over here. I got sidetracked. I am now your newest follower! I love these posters! I am your newest follower. I found your blog through a comment you left on another blog. I love that you focus on math, that is so unique! 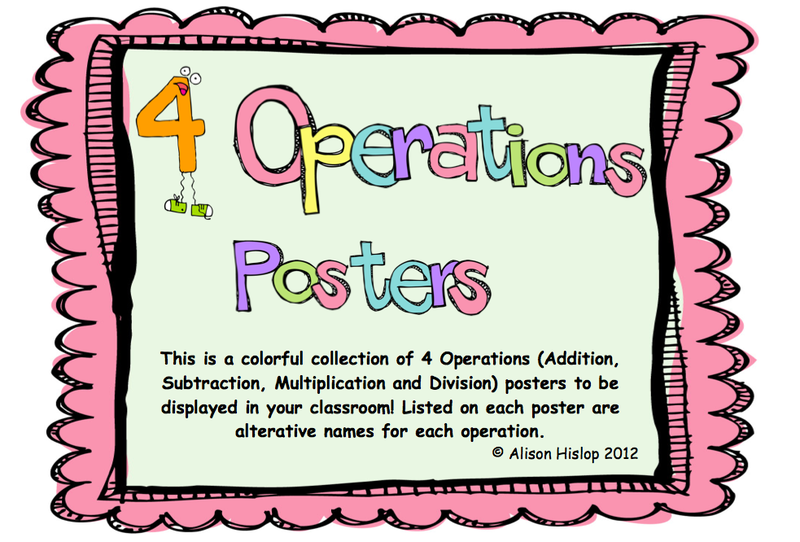 I hope you will check out my blog and TpT store! Thanks for the feedback! I am now following you on TpT and your blog! 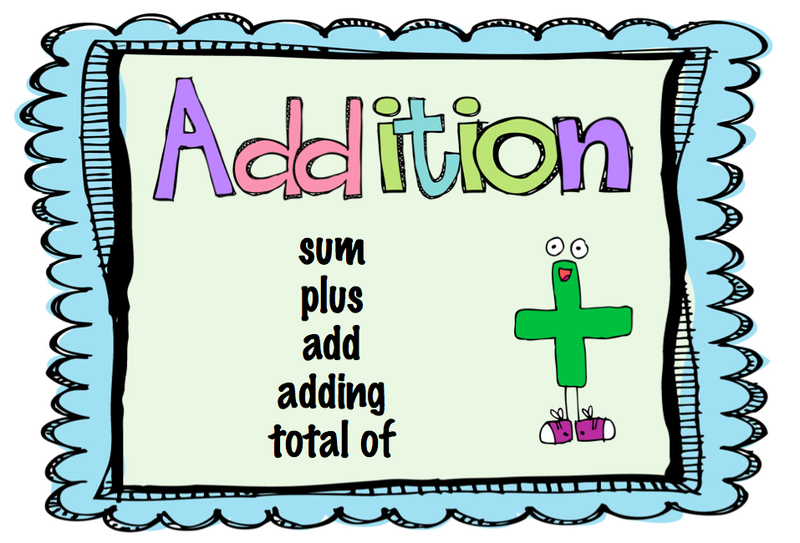 I love Math so can't wait to add more things up (as soon as my kids finish national testing!!!!). Quick and Easy Division Activity!